Many of you in the south are enjoying great sightings of Snowy Owls (Bubo scandiacus) this winter. Most provinces and most northern states have had sightings, and the irruption has extended as far south as Oklahoma (so far). Everywhere on Facebook I see friends and acquaintance posting photos of Snowy Owls, and or status updates on how they’ve succeeded or failed in their search for reported birds. Now as most everyone knows Snowy Owls are birds of the Arctic. They breed up here, and spend their winters (usually) in the lower reaches of the Arctic and near polynyas (year round ice free waters) such as the North Water Polynya between Ellesmere Island and Groenland. I’ll not touch on the fact that despite their breeding in the neighbourhood (a friend saw 17 nesting pairs in a valley near here) I’ve only ever seen them in the south on one of their irruptions. They are a bit of a nemesis bird for me, but only because I’m somewhat lazy. I could end my northern Snowy Owl drought with a bit of effort and a trip farther inland by ATV. But the fact is that most people who have seen them have seen them in the south on one of their irruptions, mass exoduses of their Arctic Home, which happen on fairly regular occasions of varying intensities. Why is that? Well, if you have been lucky enough to see a Snowy Owl down south, you should probably thank one of these guys, a lemming. Lemming populations famously wax and wane, and with them go the fortunes of Snowy Owls, and a number of other Arctic predators. 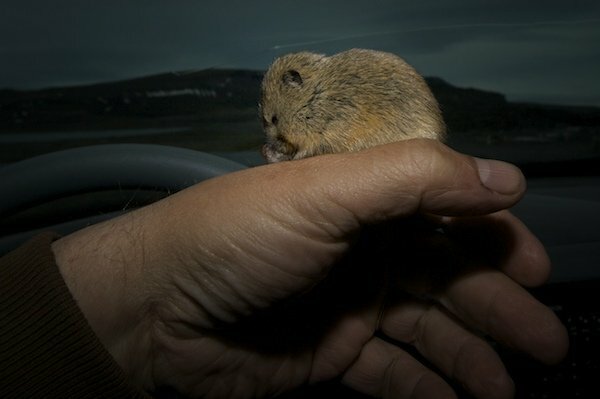 A Collared Lemming on a Beat Writer’s hand. Where I live, there are two species of lemmings, the Brown Lemming (Lemmus trimucronatus) and the Collared Lemming (Dicrostonyx groenlandicus). The Collared Lemming is unique amongst rodents in that it changes colour in the winter to white. In Inuktitut they are known as Avinga, which is also one of my son’s names. 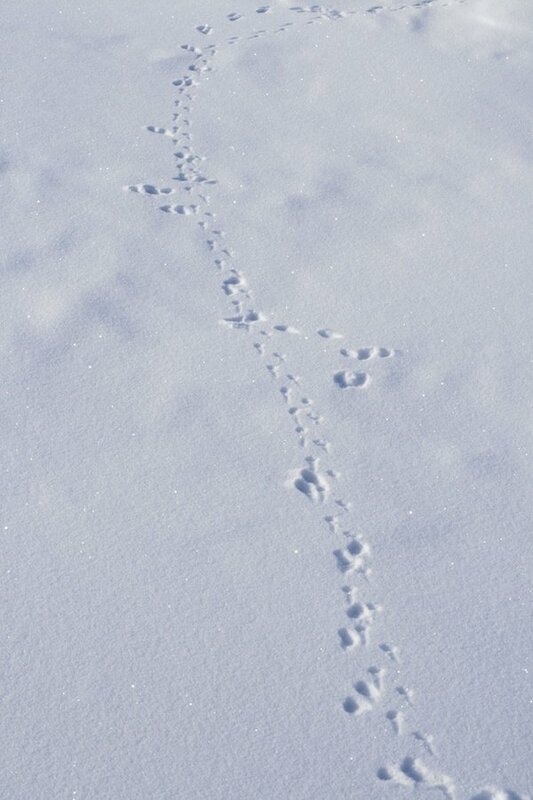 Lemmings are active all winter under the insulating snow, and soon after the Sun returns and begins to gain a little strength, you start to see their tracks in the snow as they wander about. I’ve long wanted to photograph one on one of these over snow journeys, but on the few occasions I’ve actually seen them up on top of the snow they’ve proved very difficult to capture. 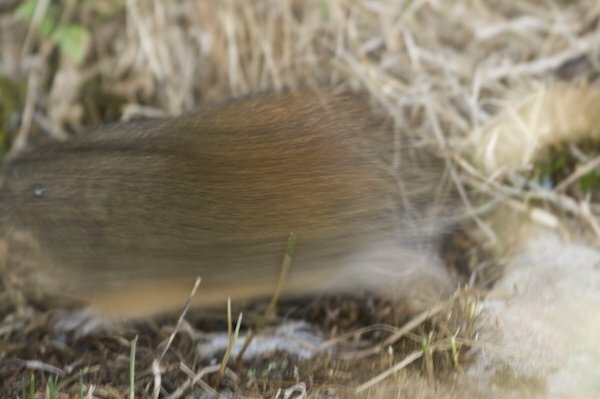 Lemmings simply do not hold still for a shot and move constantly away from you, resulting in my having a lot of blurry photos of lemming butts. Their bolting away shouldn’t be a surprise given their position on the food chain, just above grass and seeds. Lemmings are the linchpin of terrestrial food chains up here. They are on the diet of every Arctic predator outside the ocean. Peregrine don’t take many, being more of a bird prey specialist, but apart from that they are the daily feature on the menu of foxes, ermine, wolves, Rough-legged Hawks, Gyrfalcon and especially Snow Owls. Lemmings have cyclical populations that build from low numbers into years where the populations explode, only to crash and then start the cycle over again. Lemmings can have four or five litters a year of as many eight young. They are able to breed at the age of 5-6 weeks so it is easy to see, given the right conditions how quickly their population can grow. And when lemmings have a good year, predators such as Arctic Fox, Ermine and Snowy Owls adjust their breeding to take advantage of the bounty. Arctic Foxes will have as many as 16 kits on good lemming years. A friend of mine saw a family of eight Ermine while hiking this past summer. Did I mention they’re fast? Snowy Owls produce large broods of up to 14 chicks on years when lemmings are plentiful. A brood of nine chicks will be fed something in the order of 1500 lemmings from the time they are hatched until they are independent. Remember that friend of mine that saw 17 breeding pairs of Snowy Owls in a single valley? If they each raised nine owlets, the owlets alone would have eaten over 25,000 lemmings from that valley. So this was a good summer for lemmings, a very good year. They were everywhere, including a couple of them that inhabited a cage in my house for a while (they were released back where they were caught). They actually make very good pets, becoming very tame quite quickly. And because it was a good year for lemmings it was a very good year for Snowy Owls, who produced large broods. As these broods have grown into juvenile birds there is more and more competition for fewer lemmings and they begin to disperse farther and farther afield, resulting in the irruption that many of you are enjoying now. I think that you’ll find that most of the Snowy Owls you are seeing are juveniles. And they are probably having a hard time down there without an abundance of lemmings to sustain them. So please remember that when you are trying to get a better look at one, or get that once in a lifetime photo shot. The energy they expend will be sorely needed to get them through the winter and get them home to their breeding range up here. And when you do see one, remember to give thanks to the lowly lemming that is the reason you are seeing those magnificent birds in your backyards. Wonderful post, Clare! Snowy owls were beginning to give me a bit of a complex. As this irruption was well underway, I was living in northern Michigan, and I was still not finding any until well into December. I’ve finally gotten a couple now along the Lake Huron coast. It does appear most are juveniles, but my lifer at Tawas Point State Park (Michigan) was essentially pure white and presumably not a youngster. It was perched on an ice sheet in the bay…quite a sight. Thanks Kirby. Pure white, its likely to be a male adult. I love the image of birds on ice. Of course I get to see it fairly regularly. What a fantastic post. I love snowy owls and ermines, they are some of my favorite tundra animals. We are seeing a real increase in snowy owl sightings lately as they move south in search of food. Great post! So, does your son have a pet lemming? Or are they just that easy to catch? For some reason, I didn’t think lemmings were so small. Having never seen one before, I pictured them as larger. They are cute little things, kind of gerbil-ish. Great post, great photos!! Thank you! I write for our local paper and will include some of your info and the web address is Thursday’s paper. They have spotted the snowy owls in our area. It’s creating a lot of excitement. Last time I went for a look, at the Nisqually National Wildlife Refuge, we were socked in with fog. I’m very glad you talked about being careful to not disturb the owls, I will be sure to include your advice! Thanks Dave. I’ll save Ghost some for when you come visit. Thank you Belinda, we saw a lot of Ermine this year, the most I’ve seen in the years I’ve been here. Thanks Carolyn, My son did have a couple of lemmings this year for pets. But I encourage him to release them after awhile. 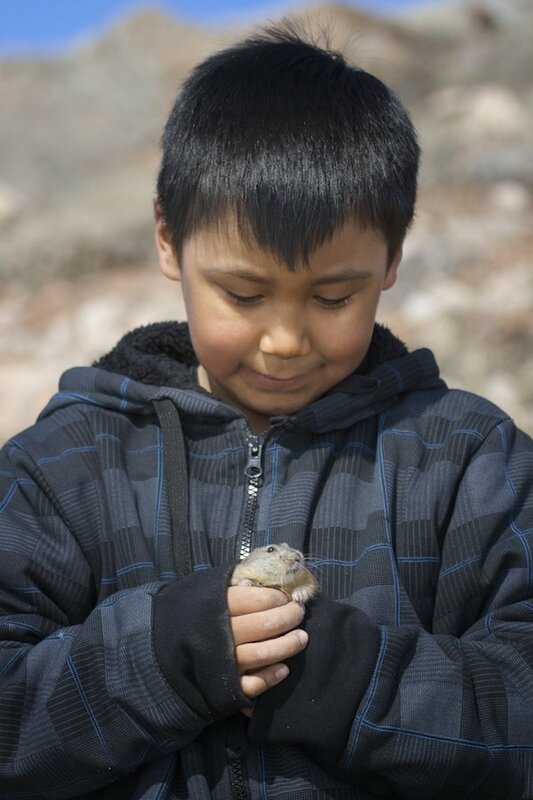 Catching lemmings is relatively easy and is a popular pastime amongst kids here. They actually make excellent pets, but I think they belong in the wild, so we’ve kept them only for a while. A young fellow here has had one for over a year and it is amazingly tame. Thank you Kimberly, Do you have a online version of your paper? Good luck with the search. Great article! Thanks!! And I loved one of your final points that birders need to pay attention to — chasing the bird for the great shot makes the owl expend precious energy that could mean life or death. Clare – Thanks for a great post. I knew nothing about lemmings before. Here on Gabriola Island, B.C., a Snowy Owl was sighted in mid-November, and people are still talking about it! Unfortunately, it wasn’t around for the Christmas Bird Count today. Thank you Anne. Unfortunately many of the birds down there will not make it back this way because of scarce food, and unfortunately well intentioned people just hasten that along. Thanks Sharon. There were a lot on the west coast judging by eBird. Its interesting to bring up the Snowy Owl map for this year and just see how widespread the irruption has been. Really enjoyed hearing a first-hand account of what the heck is going on up north that led to all the Snowy Owls appearing in states like Nebraska where 70+ have been reported this winter so far. Thanks for the info and insight. I write a weekly column for the local newspaper here on the Western Slope of Colorado (The Delta County Indepednent). Could I have permission to use the photo of Avinga with an avinga? It’s precious!! I’d also like to quote some of the lemming information from your post? Hello Evelyn, by all means. Credit the photo to Clare Kines. Avinga’s full name is Travis Avinga Kines (well there are a lot more given names but those are the two most frequently used ones. This is a great article, but one thing is missing. You say “up here where I live” but, where is that? I live in the High Canadian Arctic, at the north end of Baffin Island, some 700 kms north of the Arctic Circle, in a little hamlet called Arctic Bay. Thank you. Cold up there. How is the lemming population now? -30C ish. Lemming population typically crashes after a large population, but they will be active all winter, under the snow. When there is a large lemming population as in this year, have you seen lemming females killing their neighbors’ babies? That’s one hypothesis for the crash – getting rid of competition for food. I’ve never seen it, nor have any elder’s I talked to mentioned it. Population dynamics in systems such as this are extremely complex and we aren’t close to determining all the causal relationships. One factor is just the amount of breeding that goes on. In years that are building to be high years female Lemmings start producing litters later, and quit earlier. That is counter intuitive in some respects but the adaptation seems to be to adapt to the dense population by producing less young. Increased predation (remember predators produce larger litters and with more success when the population is high), smaller and less litters combined no doubt with other factors then result in a crash in the populations. Often there are still many predators left from the boom year after the crash, so low populations continue for a couple of years. In response to the lower populations females breed earlier and continue later. Reduced predation, more food (or less competition for food) allows the populations to rebound. This is roughly on a cycle of four years but many factors, including weather, effect this. 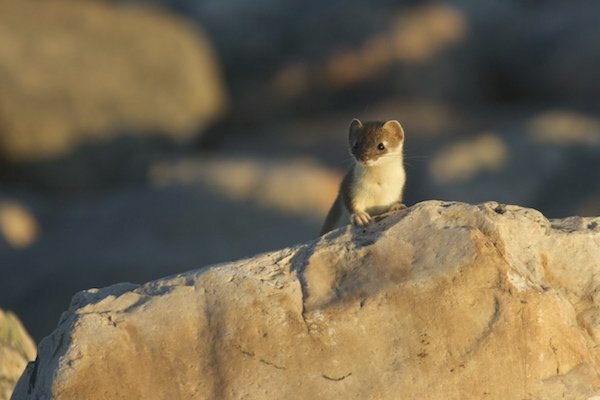 This boom and bust doesn’t just affect the lemmings and predators, but other species as well. As lemming ppulations drop other prey species face more pressure. There will likely be greater pressure next year on shorebirds and geese etc.